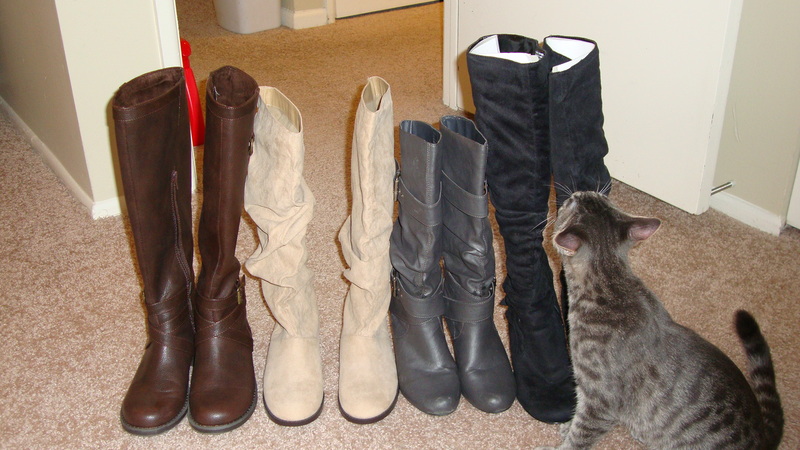 I’ll start off by saying, I LOVE BOOTS! 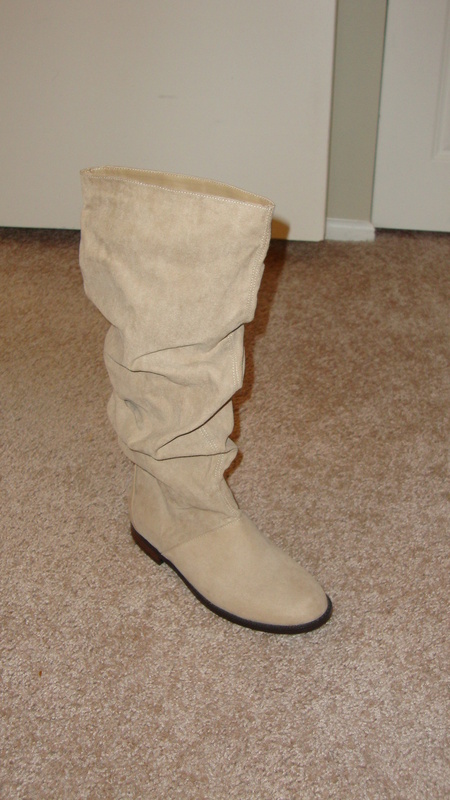 Above I have a new pair of boots that I recently purchased at Nordstrom Rack for just $40, woo whoo! And I’m actually quite bummed we are still having such warm weather here in the Chicago suburbs because I can not wait to start wearing these puppies! 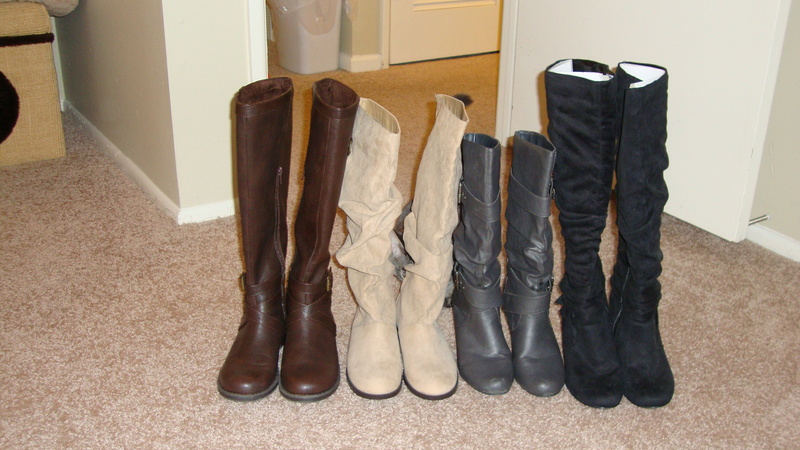 Today what I want to address though is storing my collection of boots. 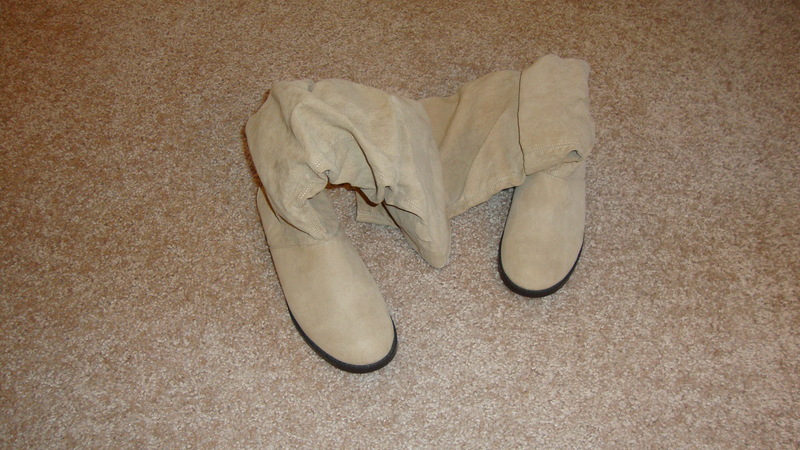 As you can see above these boots are looking pretty floppy and sad, they are a pain to store when they aren’t standing up straight, and I’ve heard that it actually isn’t good for your boots to not keep them in their intended upright position. So my easy and FREE solution is…. 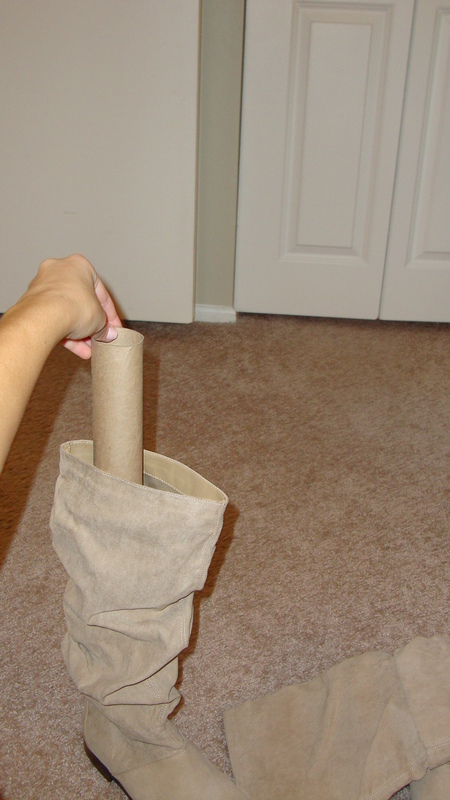 Paper Towel Rolls! I know this tip isn’t Rocket Science, but even just the littlest thing to help keep my closet in order makes me happy. This entry was posted in Projects and tagged Boot Storage, Closet Organization, Shoe Storage on September 15, 2012 by jeffandashley.